Whether it’s making notes to yourself or highlighting important text, the plate drawing feature in the Terminal pane can come in very handy. To access it, locate the page you wish to annotate via any method you choose (for example, you could use the book icon and search the list, or tap the En Route map/Nearest Items). Tap the Options button (pencil/notepad icon) at the top of the Terminal page. You can now select one of the three different pens under the Drawing Options subheading. Now you’ve selected a pen, you’ll see an “Editing” banner appear at the top of the screen. You can now proceed to draw to your heart’s content on the page. You can draw/write with any combination of the pens you desire. Any annotations placed on a plate are stored for future reference, even if you are flying a different flight plan. Stored annotations can be removed from a plate by tapping the Options button once again and selecting Clear Chart. What are some possible uses for this feature? 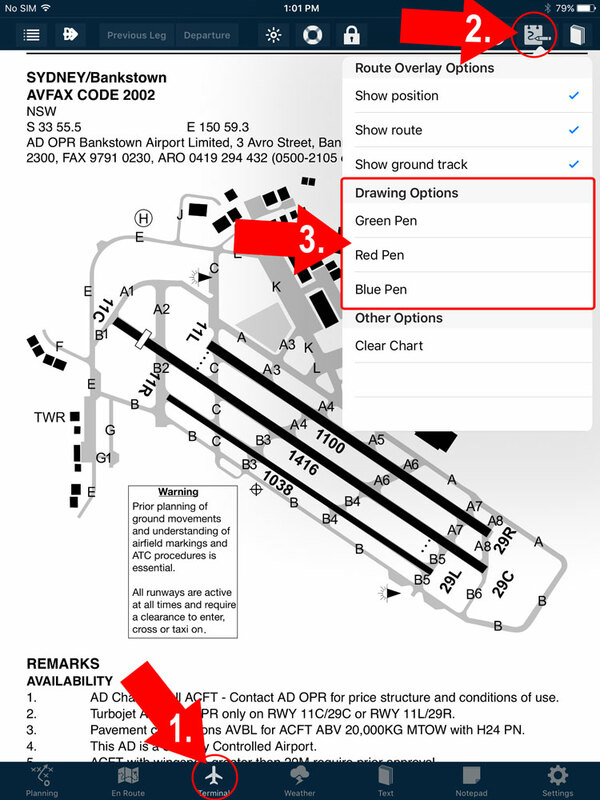 You could use it to highlight important text, or to make sure you’re aware of the circuit direction for particular runways. So, here’s the best part: the shortcut! Simply double-tap the screen to quickly enter Editing mode. When you’re done, double-tap once again to exit Editing. Keep it in mind the next time you’re working with pages in the Terminal pane. Most pilots (if not all!) will be familiar with the humble Synopic Chart. Where similar points of pressure are joined with lines, so you can visually get a sense of what is happening in the atmosphere. Another example of this style of chart would be the contour lines on a topographic map. 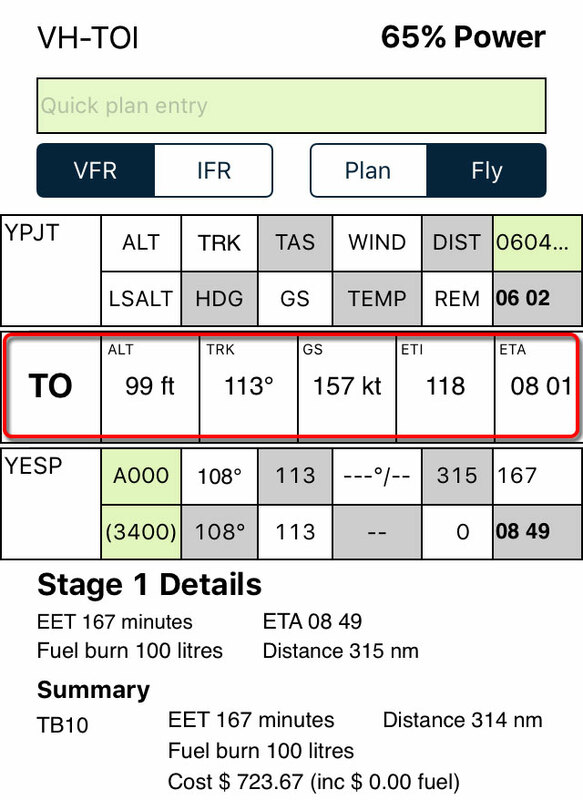 In the latest version of AvPlan EFB, we take this concept and apply it to another important consideration for pilots: Freezing Level. All AvPlan EFB subscribers can access this new overlay. To turn it on, tap the RADAR icon in the top-right of the En Route pane, then select Freezing Level Forecast. Lets have a look at what it is displaying to us. The numbers represent the freezing level in feet Above Mean Sea Level (AMSL). The lines join similar levels. The closer the lines are, the sharper the temperature drop off is. The other advantage of this display is being able to project many hours in the future. Use the controls that appear at the bottom of the map to step through the various snapshots of the mathematical model. You can move through to around 60 hours into the future. The play button will animate through each frame automatically. Remember: This layer can be overlaid on top of any map. 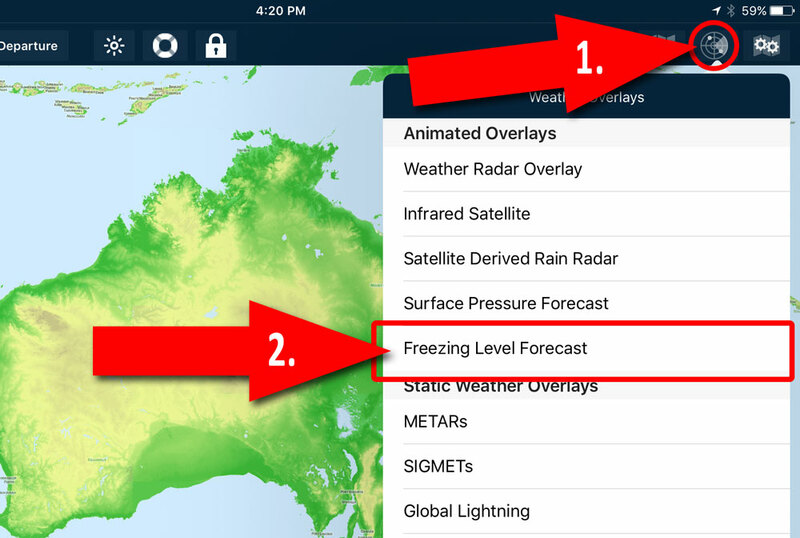 To turn it off again, tap the RADAR icon and deselect Freezing Level Forecast. Add this to your own pre-flight self briefing. Depending on where you are, aviation maps may give you a lot of information, or they may give you very little. 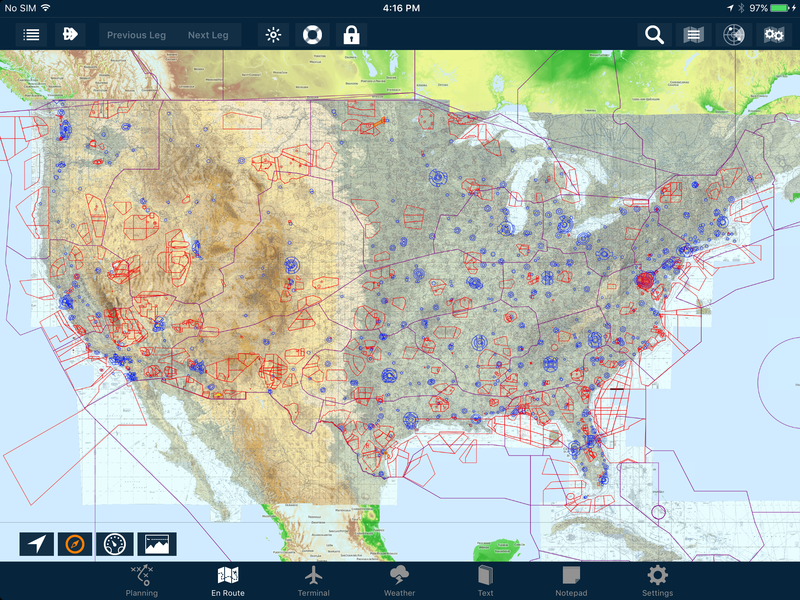 Airspace is depicted on VNC and Sectional charts, but what about when you’re flying in an area that is only covered by WAC charts? How do you know if there is airspace around you? You could double-tap randomly around the place (bringing up the Select Airspace menu), but that would be somewhat inefficient. This means that regardless of the type of map you’re looking at, you can still be aware of the types of airspace around you. To turn it on, tap the Map Settings icon (two cogs, top right) then select View Items. 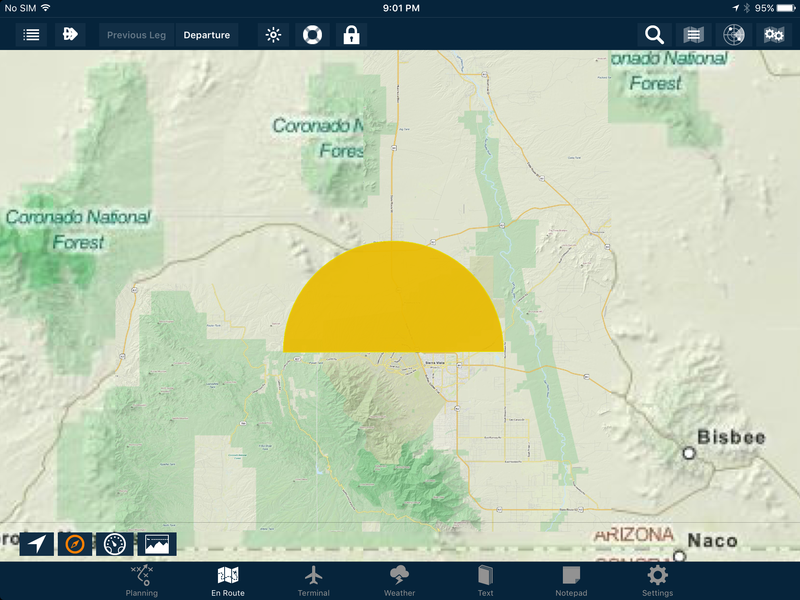 Tap Airspace and/or Active Airspace to toggle visibility. What’s the difference between Airspace and Active Airspace, I hear you ask? Airspace is purely a static overlay. 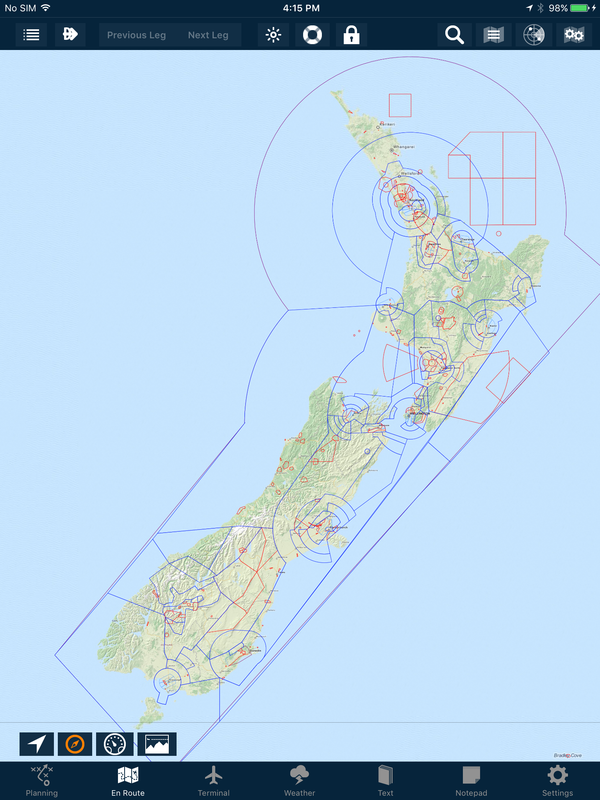 It displays all known airspace boundaries regardless if they are presently in effect or not. Some may only be in use when there is a specific NOTAM. Active Airspace is a more dynamic overlay, which ties in with the area forecasts and NOTAMs. 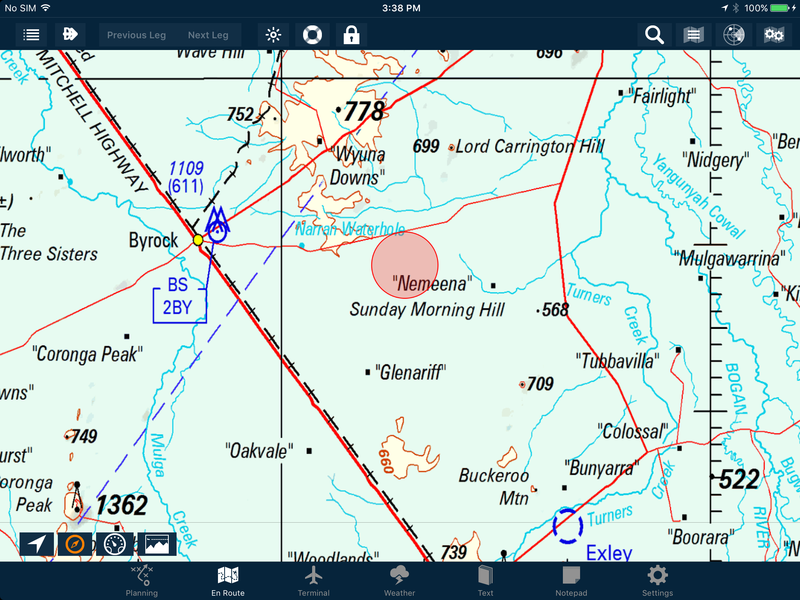 AvPlan EFB reads and understands them in the background, then displays them on the map. This is especially important for Prohibited and Restricted areas. On the map, you’ll see the PRD area shaded red when active. When the area has been deactivated, they will become clear with only the outline remaining. It’s for a firing range, that can be up to 6000 ft AMSL! I wouldn’t want to be mixed up with that when rounds are whizzing past. You’ll notice that the State of this PRD is Check. 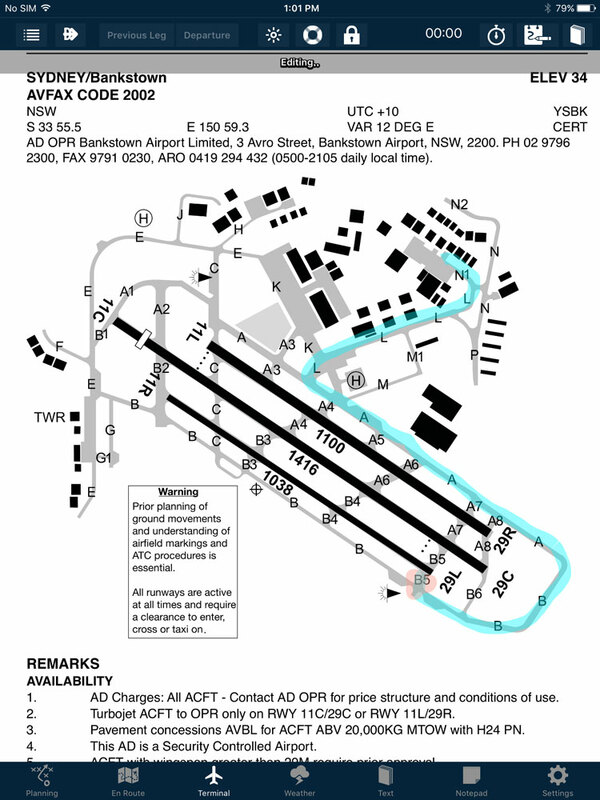 Some of the NOTAMS are too tricky for a computer to reliably interpret, so we here at AvPlan EFB err on the side of caution: If the NOTAM cannot be easily read by the system, we display it red to encourage you (a smart human pilot) to view it and make informed decisions based on the NOTAM text. 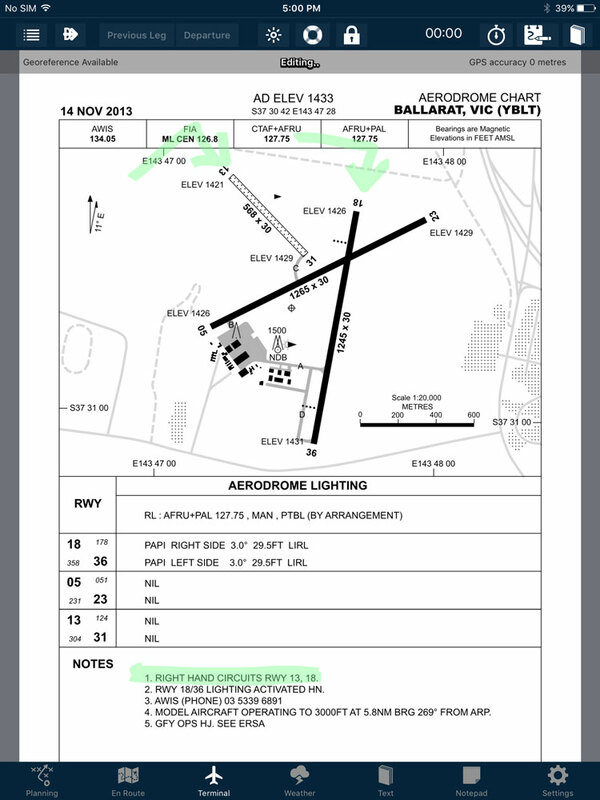 Double-tapping a temporary restriction will allow you to read the NOTAM(s) about it, just like a regular PRD area. Then, once active will turn from yellow to red. Here’s an example of both kinds of overlays working together overlaid on a 250k Topo map. The blue lines represent controlled airspace, whereas the red lines outline a deactivated PRD. The active areas can be easily seen in the bottom left hand corner. The wedge just above the Weather and Text icons is a little darker than the rest. This is a clue to there being more than one level of active PRD stacked on top of one another. When newly deactivated, a temporary restriction’s red border will remain, but it will be shaded with a very light grey colour. After a time, it will disappear entirely. 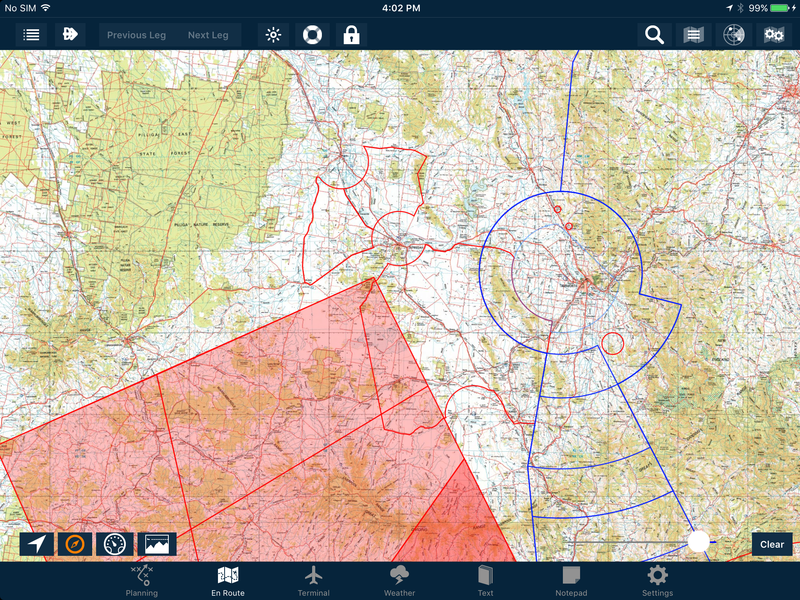 Don’t forget that both the Airspace and Active Airspace overlays can be selected on IFR charts as well! During flight, if you are connected to the internet and have Automatic Weather Downloads turned ON (in Settings > User Settings), AvPlan EFB will check for any new NOTAMs every 15 minutes. Have a try of these settings. There’s no excuse for being uninformed about the airspace around you at any time! 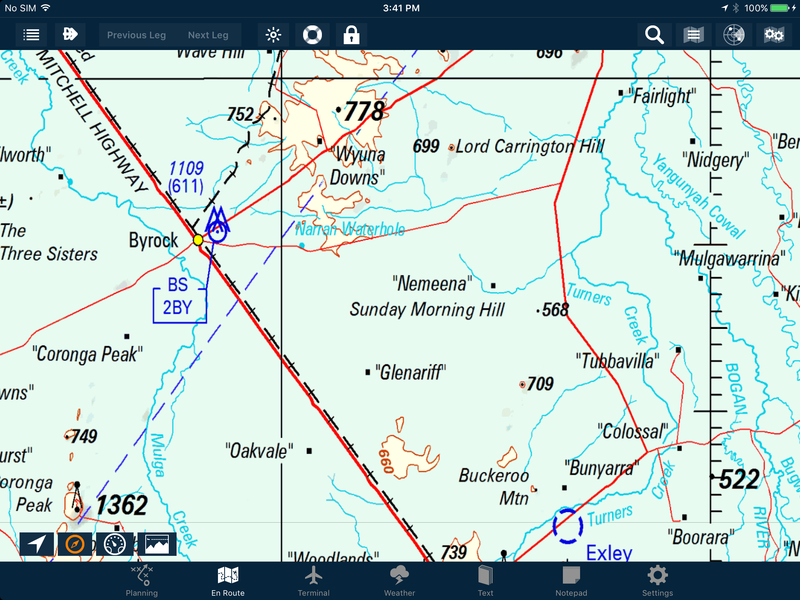 Data updates for AvPlan EFB valid from the 12 of November 2015 are now available for download. 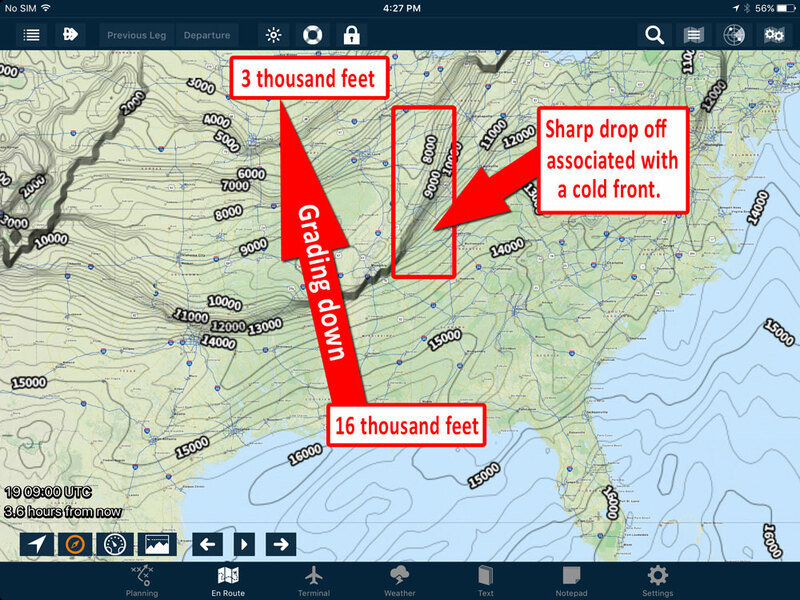 For US users there are updated Sectional and IFR approach plates. With this update, we are only sending out map areas which actually have changed, and not updating states which have not changed. This equates to a 50% saving in both update time and bandwidth. For Australian users there are updated maps (PCA, VTC, VNC, TAC, ERC L and ERC H) for download, a new ERSA and DAP East and West. All updated DAP plates (418 in total) have been geo-referenced. 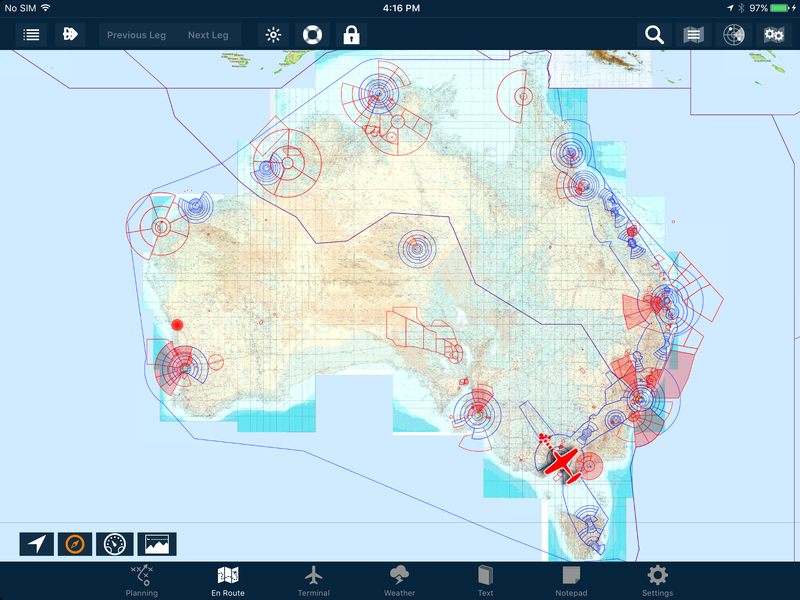 For New Zealand users there are updated IFR enroute charts and updated NZ AIP for download. 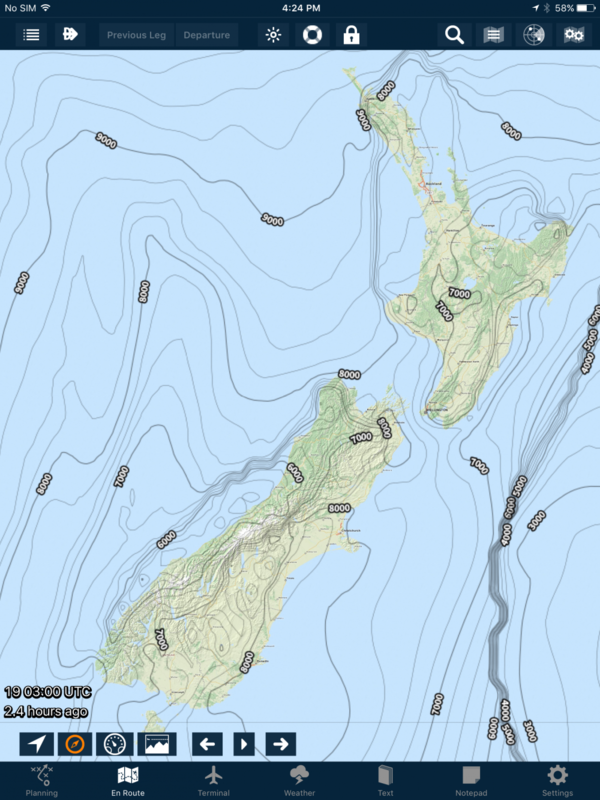 We are still waiting for the updated NZ VNC chart, and this will be available for download soon after we receive it. The final touches to AvPlan EFB 6.0 are being completed at the moment. One significant change will be the size of the database updates. If you only have one data area selected (Australia for example), data for just Australia will be downloaded. This equates to a 600% saving in database download size (down to ~10MB from ~60MB). For most users these will complete in the background and you will not need to to wait for these updates to download. Upon starting up your engine and waiting while the temperatures and pressures to stabilize, set the app to Fly mode. 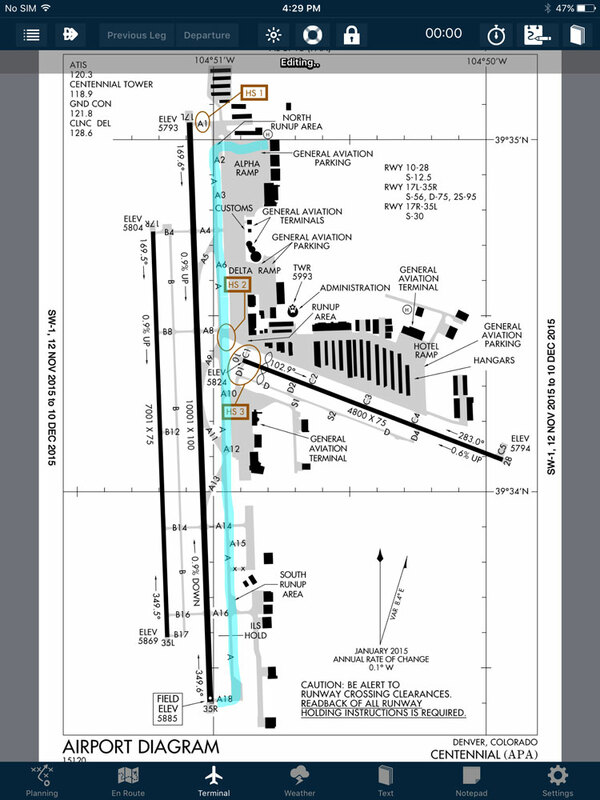 This will log your Off Blocks time and begin logging your aircraft’s track. At the correct moment of your choosing (it may differ between VFR and IFR pilots), tap the Departure button along the top of the En Route or Terminal panes. This will log your Actual Departure time, and will be displayed in bold within your flight plan (Under the Estimated Time of Departure (ETD) field. Note: Tapping the Departure button will also set the plan to Fly mode if it hasn’t already been set. Now your flight plan is active, your plan now effectively also becomes a flight log. 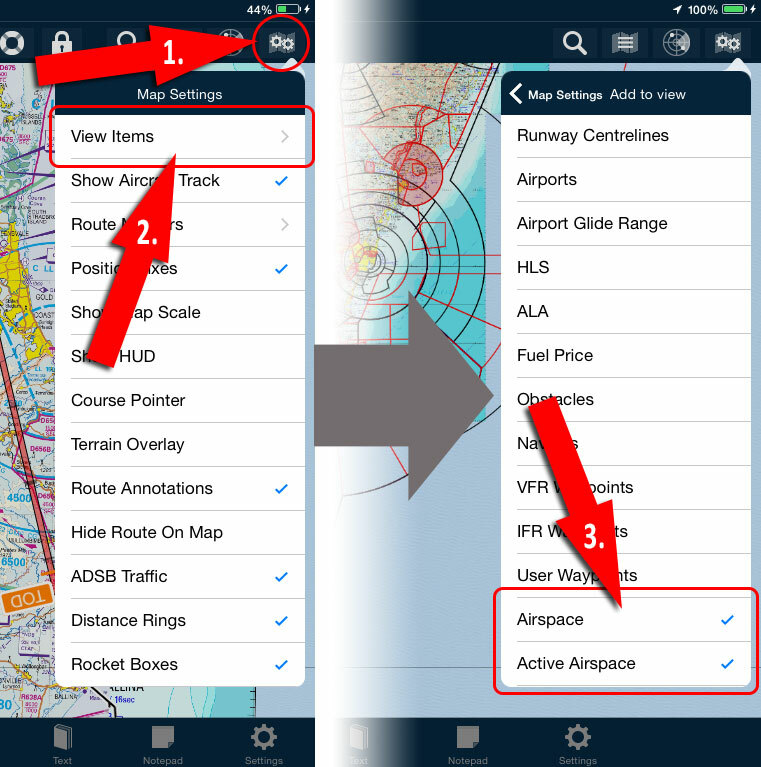 You will notice a TO field entered between your previous and next waypoints within the list. This contains live GPS derived data, and you can easily compare between planned versus actual performance. If actual enroute winds turn out to be vastly different from those predicted in the Area Forecast(s), you’ll be able to spot it quickly and easily. The flight log now becomes a powerful decision making tool. If you are busy during startup and taxi, and you don’t get a chance to tap Fly or Departure, AvPlan EFB will do those steps for you when you climb 100 feet above and depart beyond 3 NM of your departure airport. The Departure time noted won’t be as accurate as when the pilot taps the Departure button at the correct moment, but at least it will be close. Each time you pass a waypoint within the flight plan/log, the TO field will move down the list of waypoints accordingly. When moving from one leg to the next, your Actual Time of Arrival (ATA) is logged. If you are unhappy with the auto-sequencing, you can use the Previous Leg or Next Leg buttons as many times as necessary to manually cycle through to the correct leg. 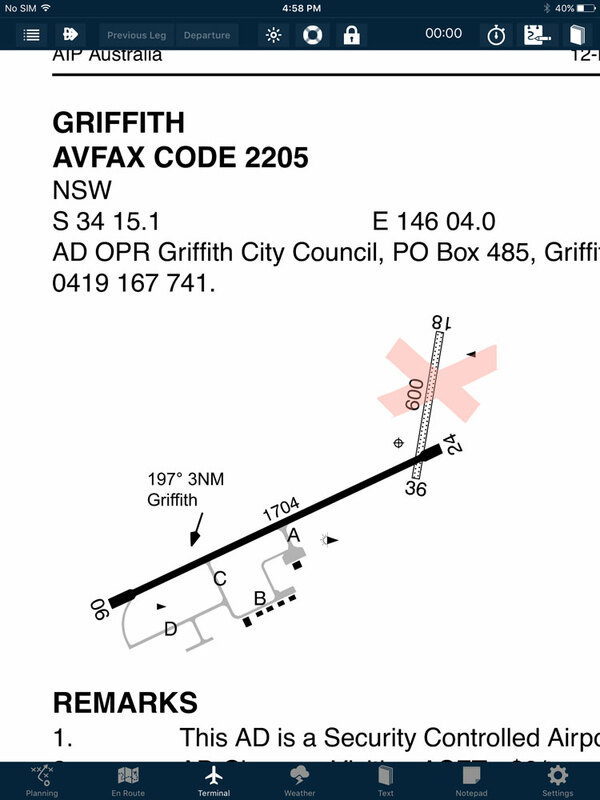 Tapping the name field (large white box on left edge of flight plan entry) of an airport within your flight plan is a handy shortcut to the Terminal pane information about that place. 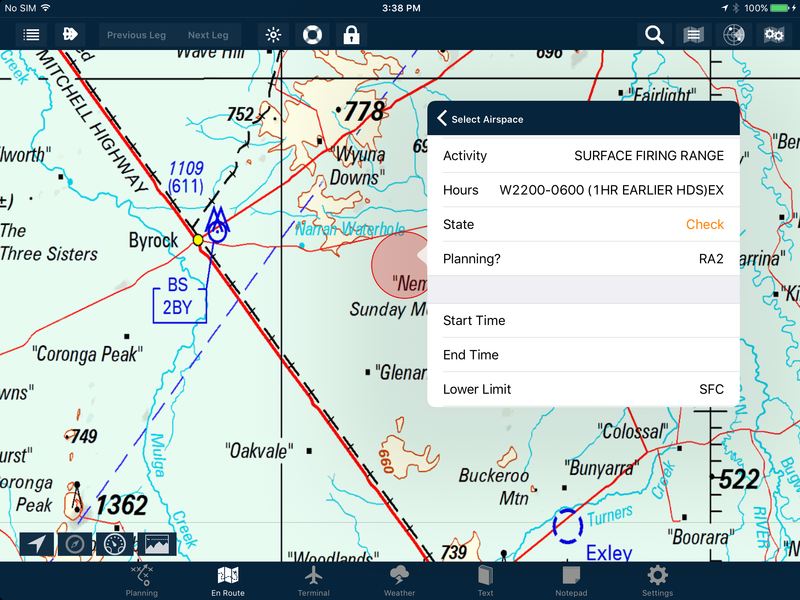 AvPlan EFB will automatically sense when you land. 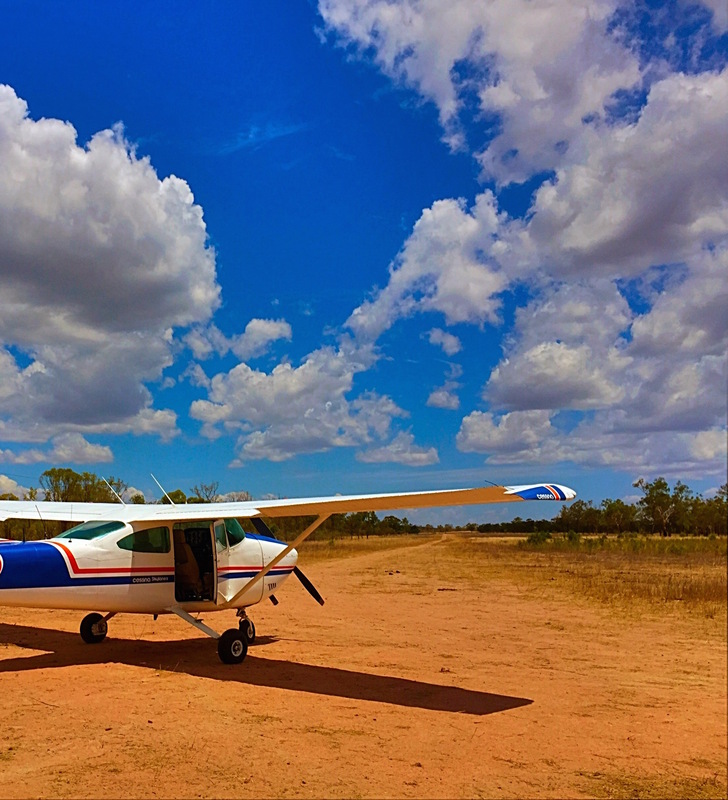 Once you’ve taxied back to the parking area and shut off the engine, tap the Plan button. This will log your On Blocks time and cease track logging. 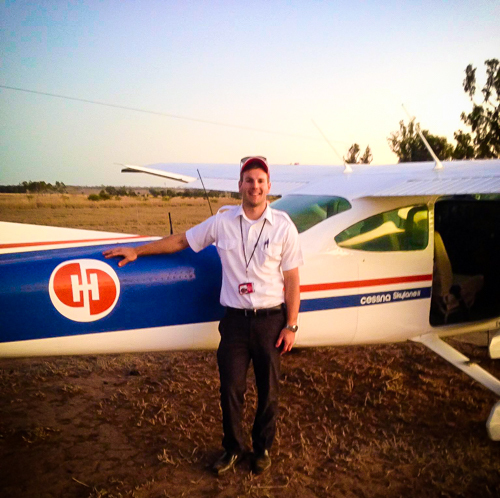 Review the overall times for entry in your logbook by visiting Planning > Log Flight. 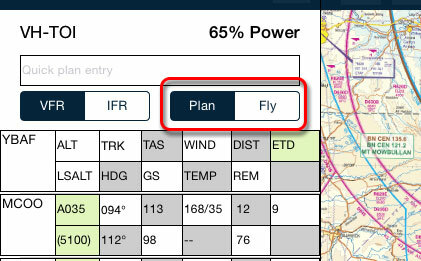 Close and store the flight plan by tapping the <Stored Plans button.